Similar to the swords used by the brave foot soldiers of Ancient Rome, this Hero's Edge Silver Polypropylene Roman Sword is perfect addition to your roleplay collection! 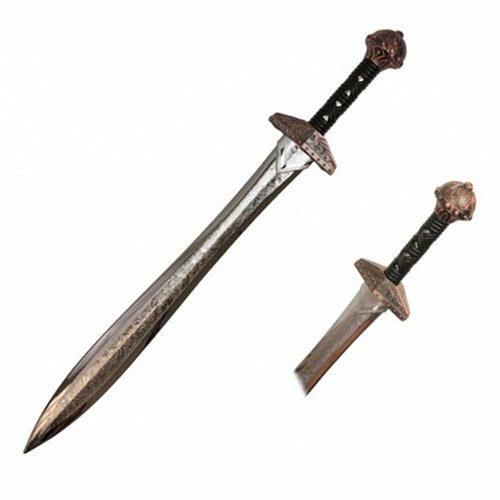 Made with strong polypropylene material, this sword is designed with intricate scroll work along the blade and the handle. Safe for conventions, this durable Roman Sword is the finishing touch to complete your costume! This Hero's Edge Silver Polypropylene Roman Sword measures about 32 1/4 overall and the blade measures about 23 3/4-inches long.